Texas has one of the lowest nursing home Medicaid reimbursement rates in the nation, and that low rate is fueling an annual staff turnover of up to 97 percent, creating a workforce crisis in Texas nursing homes. The Texas Health Care Association has released a report detailing how the nursing workforce crisis is affecting long term care in Texas. Who will answer when they call? They can ask for help and many of them do. When they call, nursing home residents and their families simply want state leaders to make sure there’s someone there to care for them. Their plea is about our respect for life, especially for individuals who have worked hard, paid their taxes and are no longer able to care for themselves. It’s about an expectation of the delivery of quality care for nursing home residents. These special Texans must now rely on someone other than a loved one for the most basic needs, such as bathing, dressing, using the restroom and eating. An experienced caregiver, familiar with the residents’ needs, can make all the difference in the world. Texas nursing homes have one of the highest workforce turnover rates in the country among long term care facilities. Direct care staff are abandoning the industry for less stressful, higher paying jobs. 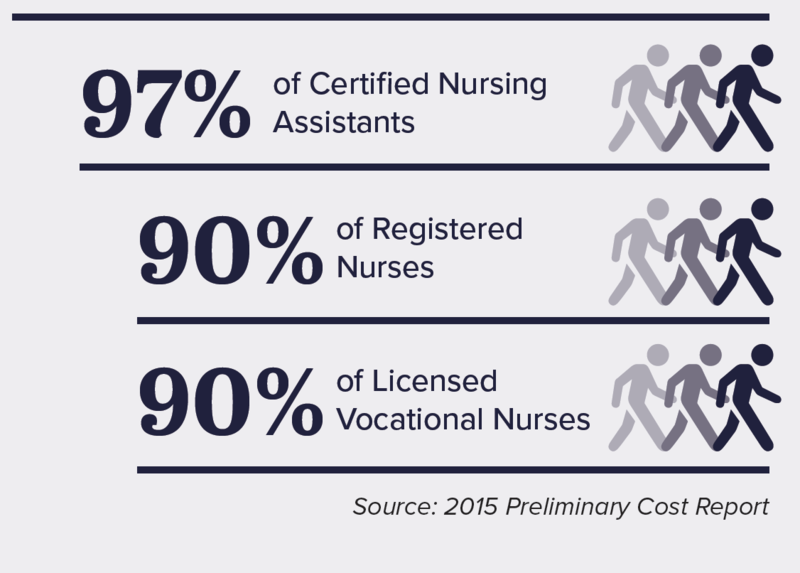 50% of the RNs and 54% of LVNs identified as working in a nursing home in 2010 were no longer working in the industry in 2015. Not the lone star we're proud of. The state’s rock-bottom reimbursement rate is affecting staffing and care. And it also creates a barrier preventing nursing home operators from being able to invest in new programs and upgrade facilities, measures that can improve the quality of care provided. 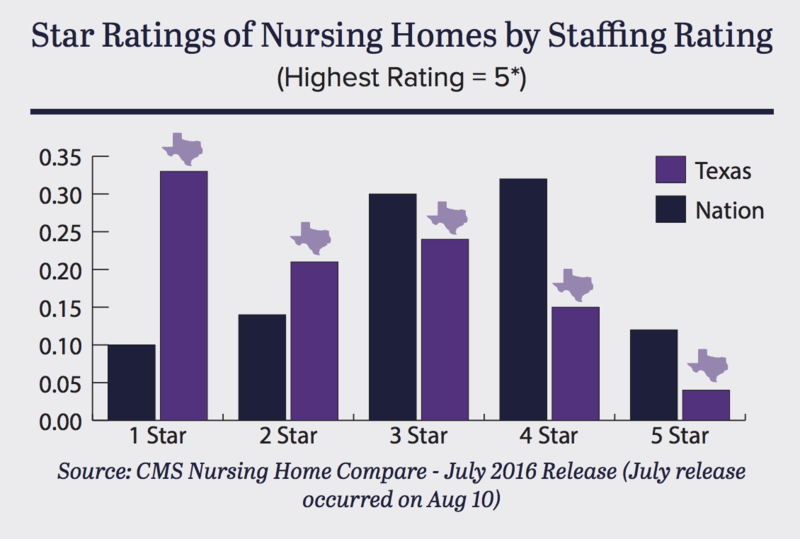 Its effect is further reflected in rankings that show Texas has more one-star-rated nursing homes than other states, based on staffing. As a result, care suffers. At $6 per hour, Texas pays less for nursing home care than teenagers make mowing yards. Don’t their grandparents deserve better? The aging population is growing in Texas and our state is not prepared to care for them. The care crisis will only get worse if we fail to address it now. This is one crisis the state can avoid.